I have been using this for about 4 years now and its the best product for your joints. All it takes is 4 pills a day(I take 2 in the am & 2 in the PM). I started using them because my doctor said it would help my knees. 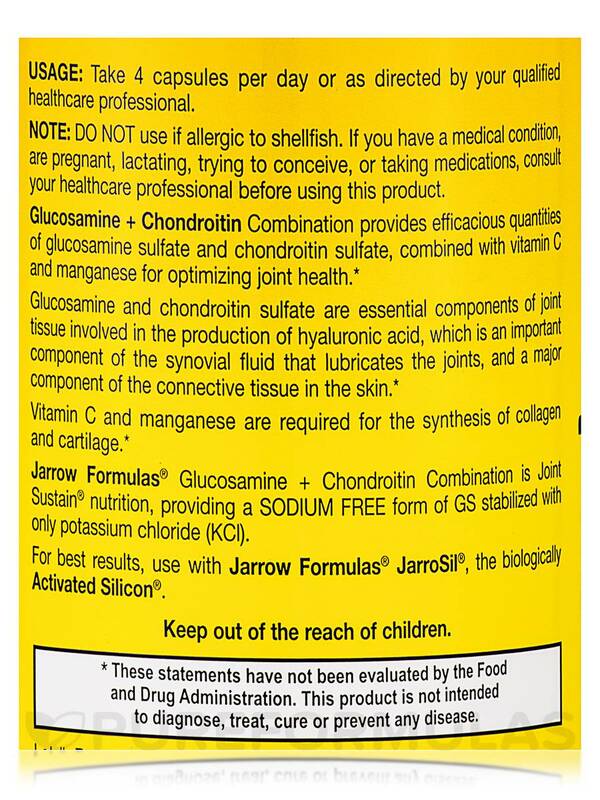 Glucosamine + Chondroitin 120 Capsules from Jarrow Formulas® may help with maintaining healthy bones and joints. 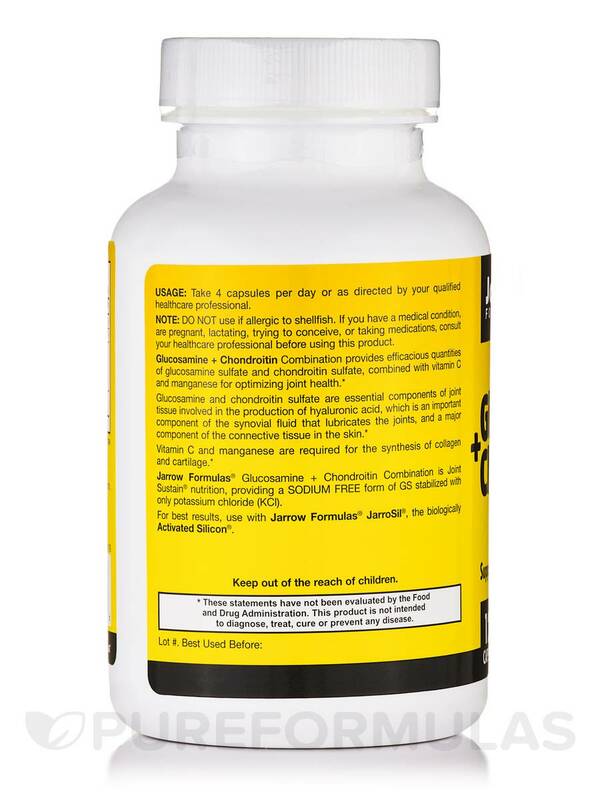 Glucosamine is a natural bio-chemical that is found in our body. The compound helps in maintaining healthy joint cartilages. Chrondroitin is another natural compound that is found in the connecting tissues of bones. This chemical helps in easy and flexible joint movements. As we grow old‚ the production of these natural biochemicals may slow down. 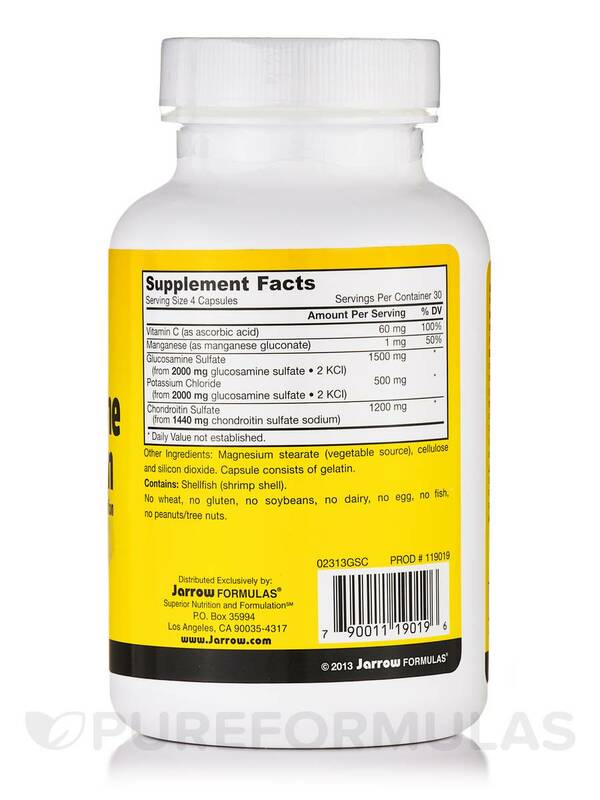 The Jarrow Formulas® supplement is a combination of glucosamine sulfate‚ chrondroitin sulfate‚ vitamin C and manganese. Brought together in the right proportions‚ these ingredients may help improve bone and joint health. Studies show that the bio-chemicals glucosamine and chrondoitin may help stimulate the production of hyaluronic acid. This acid is the chief component of the synovial fluid. The fluid‚described as a ‘joint lubricant’ ensures smooth joint movements. The supplement contains no dairy‚ no eggs‚ no wheat‚ no soybeans‚ no fish and no peanuts. 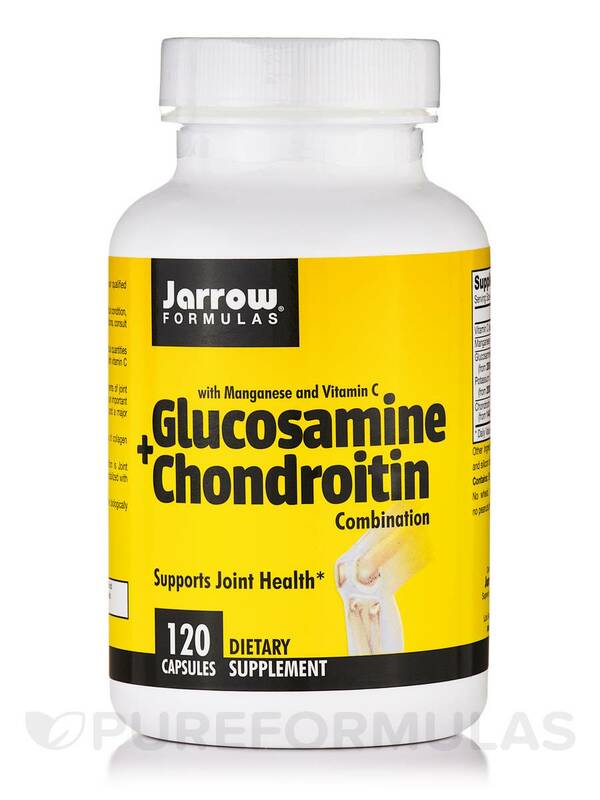 Glucosamine + Chondroitin 120 Capsules from Jarrow Formulas® may be a good choice for all people who are looking to improve their bone health and stay fit. Magnesium stearate (vegetable source)‚ cellulose and silicon dioxide. Capsule consists of gelatin. No wheat‚ no gluten‚ no soybeans‚ no dairy‚ no egg‚ no fish‚ no peanuts/tree nuts. Take 4 capsules per day or as directed by your qualified health care consultant. Do not use if allergic to shellfish. If you have a medical condition‚ are pregnant‚ lactating‚ trying to conceive‚ or taking medications‚ consult your health care practitioner before using this product. I have been using this for about 4 years now and its the best product for your joints. All it takes is 4 pills a day(I take 2 in the am &amp; 2 in the PM). I started using them because my doctor said it would help my knees. 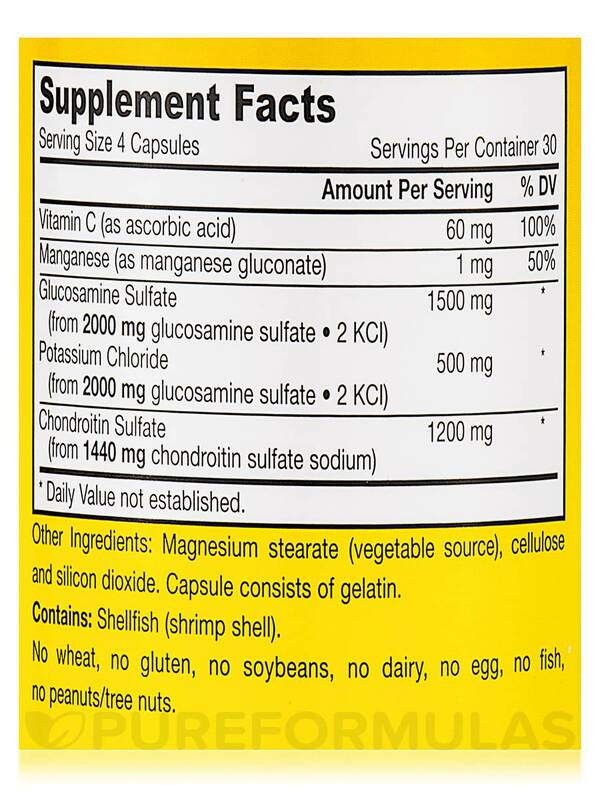 My Dr. said I could take 2000 mg of glucosamine per day for extreme pain, but I don't know which numbers to use. Should I use the original numbers or the "yielding" numbers? Thank you for your help. Debra, you would want to go by the amount per serving. Or speak with your health care provider to see what the best option would be for your needs.